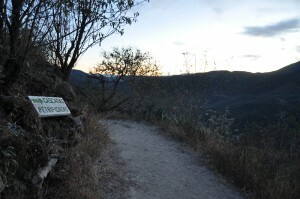 HIERVE EL AGUA: how to get there from Oaxaca! This is something that we found a lot of people were quite clueless about. 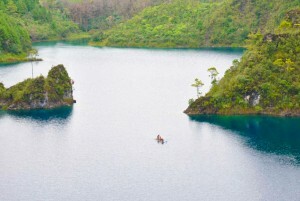 Hence this post to help out all the folks looking to visit this amazing place! We were staying in an apartment the middle of Oaxaca town and needed to get to Hierve el agua. 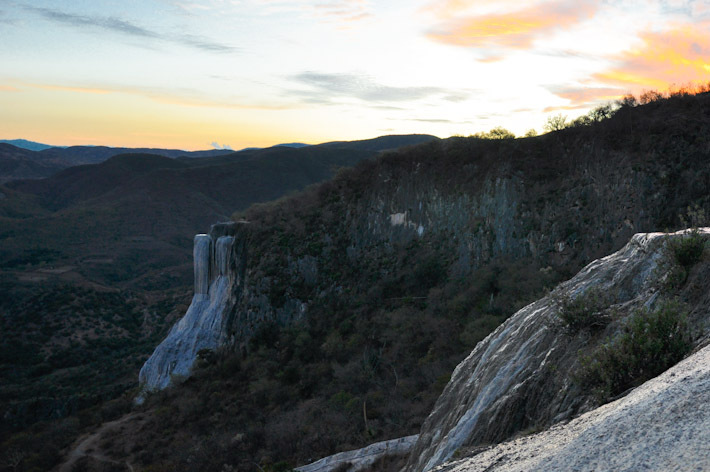 Hierve el agua is this place with amazing petrified water falls. The calcification on the rocks makes it look like the waterfall has been frozen in place. After asking around a bit we were able to figure out how to get there. However, if you don’t speak much Spanish, it might be tougher to find the best way around. So here’s the down low. You can take a colectivo (these are taxis or mini buses that run around in Mexico) in front of the baseball stadium in Oaxaca. There are colectivos running to Mitla as well as another town called Tlacolula. (delightful names, no ? :)) We were advised that taking a colectivo to Tlacolula and then one to Mitla works out cheaper than taking one directly to Mitla. The ride to Tlacolula was around 20 minutes and was through some beautiful highways. It cost us 20 pesos each. At Tlacolula we caught another colectivo to Mitla. This took us another 10 minutes and cost 10 pesos per person. At Mitla we found a guy with a pickup truck waiting next to where the colectivos drop you off. He had a sign on his pickup saying Hierve el Agua. Bingo! The ride to Hierve el Agua cost us 60 pesos per person for both ways and took about 40 minutes each way. 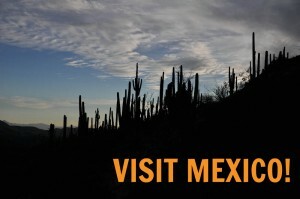 He took us there and brought us back, all in time to catch a bus back to Oaxaca for only 15 pesos! It was a very nice ride back and the bus driver had excellent taste in Spanish music! So that’s it: pretty easy to get to Hierve el Agua and back, eh?! Watch a video of what it looks like HERE! This is exactly the information I was looking for! Thanks for knowing what travelers need to know.